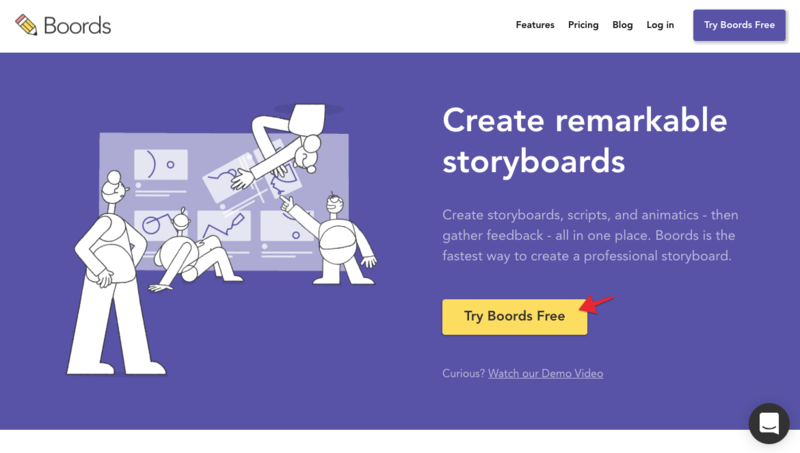 Boords is the collaborative storyboard creator app that helps the world create incredible stories, together. 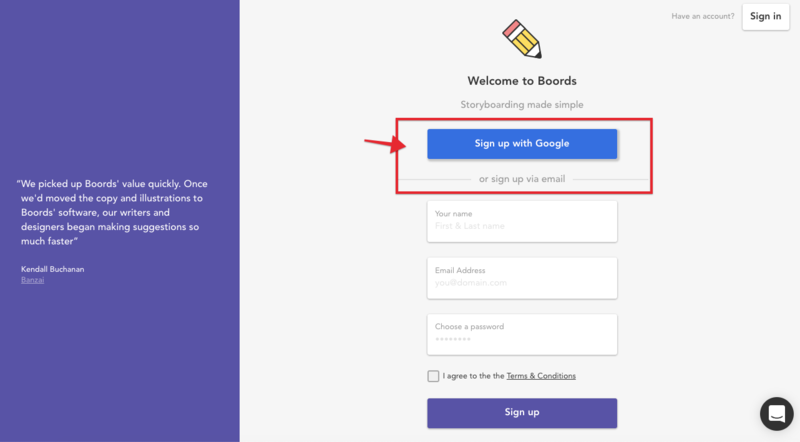 Your first step in setting up your Boords account is to sign up. All new Boords users will be automatically subscribed to the Free plan. If you'd like to upgrade to a Plus or Team account after this point, you can do this from with the Billing page of your account. If you'd like to test out the Team collaborative features before committing to a paid plan, you can sign up for the 7-day trial. Read more about that here. You can choose to sign up via email or with you Google account. If you sign up with Google, we will use the name, email and profile picture from your Google account - nothing else! Already have a Boords account? If you already have an account with the same email address as one of your Google accounts, signing in with that Google account will link the two accounts together. Also, if you haven't already uploaded a profile picture to your Boords account, we'll copy your profile picture from your Google account to your Boords account.